Lynda.com offers well organized tutorials on all kinds of software such as the Microsoft Office Suite, Adobe Suite, various other multimedia programs, professional development topics, project management, programing languages, and more. To be clear, I don’t work for Lynda.com nor do I get a kickback for endorsing them here. It’s just a really great product, and I’ve gained a lot of advanced expertise all on my own using the tutorials available. You can see all the topics and courses available without logging in, so take a look to see what I mean. You can even watch some of the videos, just not entire courses. How do I get free access? 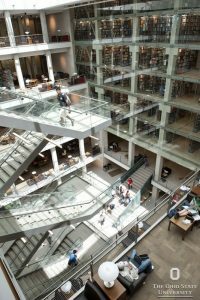 You’ll need a free Columbus Metropolitan Library (CML) membership to get free access to Lynda.com. Bring your BuckID to Thompson Library to sign up for a CML membership. You’ll need to fill out a form listing an Ohio address, which should ideally be your home, but could also be your office, dorm or department. After completing the form, you’ll get your CML card and PIN on the spot. Alternatively, you can sign up for a membership at one of the many CML branch locations around Columbus or online. If you choose the online option, you may have to wait up to 10 days for your library card to arrive in the mail. How do I sign into Lynda.com for free? Research suggests that audio is actually more important than visuals when perceiving the overall quality of your movie. Unfortunately, even when recording in a proper video studio, low levels of background noise will sneak into your recording. It’s usually caused by things we tune out in our daily lives, such as air conditioning or the hum of a computer fan. Once you’ve finished editing your video, you’ll likely export it as a high quality mov, avi, or mp4 file ready to share with the world. It’s done and it’s beautiful, but the file size is HUGE or perhaps you need to have it specifically in mp4 format. Never fear, MPEG Streamclip is here! 1. 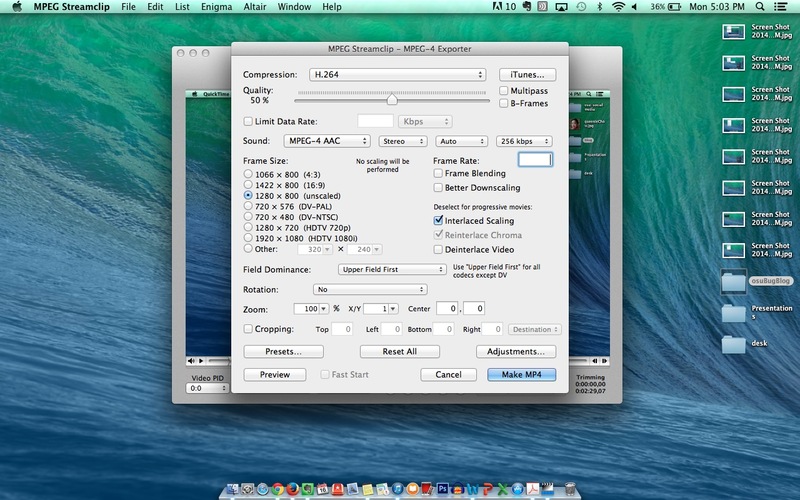 Open MPEG Streamclip, and drag your video file into the program. 2. 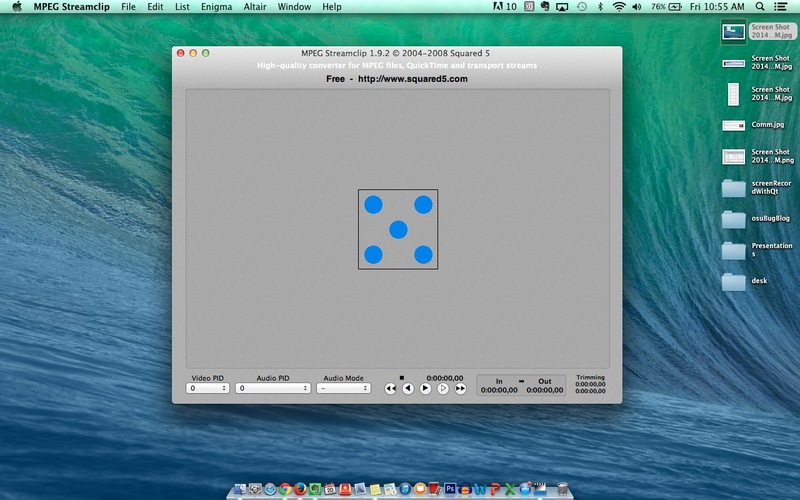 Click File > Export to MPEG-4. Although iMovie makes it easy for beginners to create a movie, saving a copy of the project to keep with you or open on a different computer isn’t exactly intuitive. 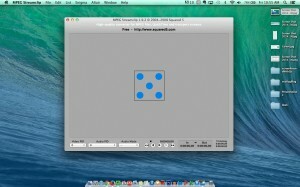 This tutorial is specific to using iMovie on a computer, and does not apply to iMovie for iPhone or iPad. Instructions were written based on the assumption that the project is being saved to box.osu.edu OR a USB drive. However, steps are the same whether you use box.osu.edu or other cloud storage such as Google Drive, and whether you use a USB drive or other physical storage such as a portable hard drive. Here are slides to a talk I gave earlier this year at the OSU Administrative Professionals Conference. Tons of recommendations for tools I use in order to cut wayyy down on email, make meetings more efficient, and manage people/projects. Some are OSU supported, and some are not. *Note: each slide w/ an asterisk is stating the tools I’m about to introduce that accomplish that goal. Each simple slide (black background with large white text) is the particular tool being recommended, so subsequent slides are describing features and ways I use that tool. Although I’ve embedded the presentation into this post, I recommend you flip through the slides here, from Haiku Deck’s website so you can see the presentation notes for context. A lot of computer labs at Ohio State, including the Digital Union labs, are set to print double sided by default. Here’s a quick video showing how to switch between printing single or double sided. Because some days you just really don’t like trees. Until now, 3D printing has only been available under lock and key to specific departments such as Engineering and Architecture. For a limited time, the Digital Union is offering FREE 3d printing for all OSU faculty, staff, and students! It’s part of a pilot to access the demand for the service and feasibility of offering it campus wide. More details at u.osu.edu/du3d. Carmen’s Down. How to deal. You might have heard that Carmen has been on a little unplanned hiatus. Meanwhile, check out these Carmen Alternatives for Coursework. The page outlines alternate ways to accomplish the major functions Carmen provides such as tracking grades, sharing content, and accepting assignments. It’s always stressful when the daily tech we depend on fails us, even though realistically we know that this will happen every once in a while despite the best efforts. This video always gives me the attitude adjustment I need to take a breather, enact an alternative, and be grateful when my service comes back online. 3D Printing for OSU Coming Soon! 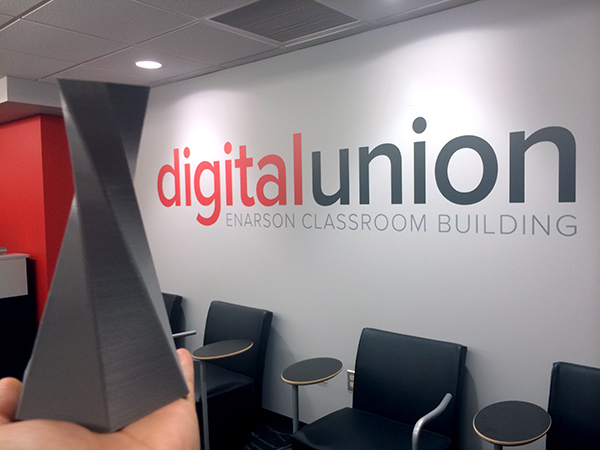 The Digital Union is getting ready to launch a pilot that will make 3d printing available to all current faculty, staff, and students for free! We’re currently working out all the nitty gritty details such as policies, procedures, maintenance, and software. I can’t tell you too much yet, but stay tuned. Here’s a 3d vase we just printed to test out one our brand new MakerBots! And as if life couldn’t get any better, I just found that Lynda.com offers seven different courses on 3d printing, so take advantage of your free access to these online tutorials, and we’ll see you in the lab.